Morgantown Board of Parks and Recreation (BOPARC)- manages the rail-trail in city limits as one of their many city parks. Outside of city limits, MRTC contracts BOPARC for the maintenance of the rail-trails. BOPARC also maintains the rail-trail calendar of events. To schedule an event on the rail-trail and reserve the neighboring parks for staging areas. The BOPARC Office is located at 799 East Brockway in Marilla Park. The office hours are Monday-Friday 8:30am-4:30pm. River Town Program on the Monongahela River– The overall objective of the River Town Program is to provide an efficient, effective, regionally-based resource to help local communities recognize the river as a potential economic and community asset, and thus a resource worthy of protection. 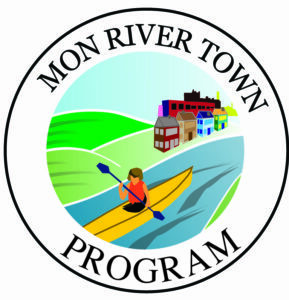 The River Town Program has contributed to helping fund the marketing and promotion of both the Upper Mon Water Trail and the Mon River Rail-Trail network including funding for this website, Van Voorhis kayak/canoe access, and trail amenity signs. Industrial Heartland Trails Coalition- IHTC is collaboration of organizations and agencies working to complete and connect a system of 1,400+ miles of shared use trails. The goal is to connect the trail network so that local and visiting trail users can walk and bike from trail to trail, city to city, and town to town. The system is 48% complete, linking 48 counties and four states creating a premiere trail destination. American Trails- In 2006, the Mon River / Caperton / Deckers Creek Trail System was designated a National Recreation Trail. The National Recreation Trails Program is jointly administered by the National Park Services’ Rivers, Trails, and Conservation Assistance Program and the U.S. Forest Service in conjunction with a number of other federal and nonprofit partners, notably American Trails, which hosts the National Recreation Trail website at www.americantrails.org/nationalrecreationtrails/trailNRT/MonRiver-WV.html. 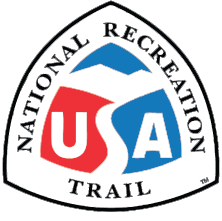 American Trails also promotes National Trails Day which is celebrated on the first Saturday in June. MRTC events on that day are the Deckers Creek Trail Half Marathon and Trail Mix Festival. Rails-to-Trails Conservancy- (RTC) is a nonprofit organization dedicated to creating a nationwide network of trails from former rail lines and connecting corridors to build healthier places for healthier people.